Your anniversary is a time to celebrate the memories you’ve collected and preserved through the years like valuable antiques. What better place to reminisce than Illinois, where horse drawn carriages trot through tree-lined streets and baseball scores are still posted by hand at Wrigley Field? 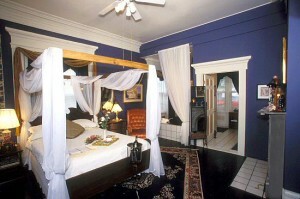 This year, spend your anniversary being pampered at one of Illinois’ most romantic inns on www.iloveinns.com. The innkeepers at our bed and breakfasts take pride in making memories with carefully preserved architecture, comfortable amenities, and vacation packages for that extra touch of romance. Reenact your civil union in historic Galena. A stay in this picturesque little town in Northern Illinois will make your anniversary feel just like old times. Who says the honeymoon suite is just for newlyweds? At Bernadine’s Stillman Inn and Wedding Chapel, the Honeymoon and Romance Suites are lavishly decorated with fabric-draped canopy beds, down comforters, gold leaf crown molding, gas fireplaces and whirlpool tubs. Explore downtown Galena by foot, horse-drawn carriage or hot air balloon. All that romance will send couples hurrying back to the Galena Wedding Chapel to renew their vows. Also in Galena are Aaron’s Cottages and Goldmoor Inn. Here a couple can spread out in the inn’s spacious suites, cottages and log cabins, each equipped with King-size beds and two-person whirlpool tubs. Relax by the fireplace or visit the Goldmoor Spa for a massage. Anniversary packages include a seven-course dinner prepared by Chef Dion, a Cordon Bleu chef, in a restaurant with a panoramic view of the Mississippi River. Celebrate in style at Beall Mansion, located in Alton’s Millionaire’s Row. 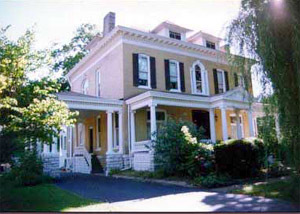 Renowned architect Lucas Pfeiffenberger designed this blend of Neoclassic, Georgian and Greek Revival styles as a wedding gift to Mary Drummond, heiress to the Drummond Tobacco fortune. Toast your future with a complimentary glass of champagne while enjoying the ambiance of marble statues and crystal chandeliers. Then spend some quality time together at the nearby Alton Belle Casino or the Rock Spring Golf Course. Celebrate in harmony at the Hansen House Mansion in Chicago, where the sunlight streaming through stained glass windows sends rainbows across the room. Enhancing this symbol of peace are fixtures built for two: the Architect’s Quarters has a second sink and the Celestial chambers has a two-person shower. Couples can hire a chef for a custom Saturday brunch and then work it off with a walking tour of the nineteenth-century homes that line the street of this Old Town district within a bright, busy city. Celebrate with a river view at the River House Bed and Breakfast in Rockford, Illinois. Riverside suites bring elegance to the outdoors with Jacuzzi tubs, fireplaces and gourmet breakfasts. Relax with a couples massage or wine and roses brought to your room. Other romance amenities include private entrances and a screened porch. No two couples are quite the same. Each bed and breakfast on our site is unique in its history, architectural style, and proximity to Illinois’ attractions. Finding the right person was the hard part—a search on our website makes it easy to celebrate your life together.